Jeff Shaw, originally from Millbridge, and what he has built in the Portland area. In the Portland Press Herald TODAY. Maine Alliance for Arts Education’s (MAAE) Building Community Through the Arts drama and dance residency program (BCTA) was developed in 2000 after the shooting at Columbine High School brought the issue of social climate in schools to the nation’s attention. 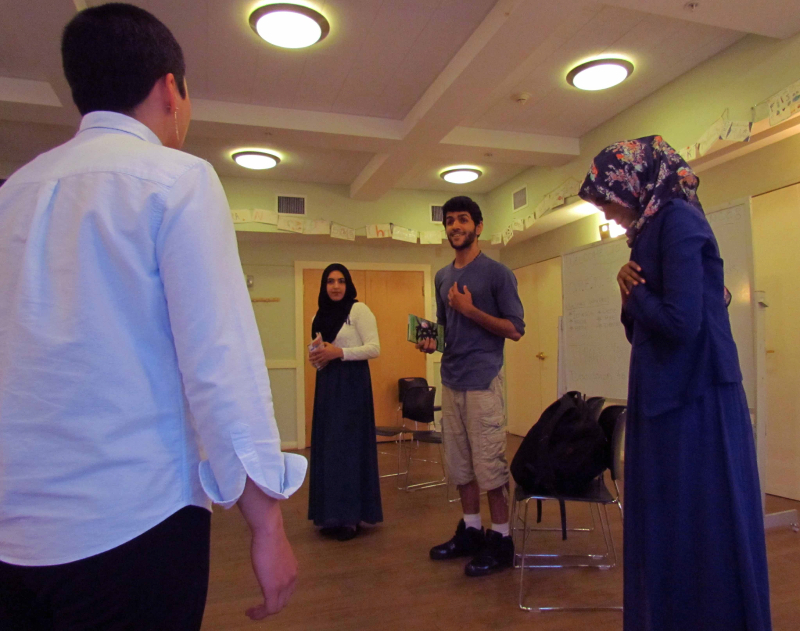 The BCTA residencies, engaging whole classes of students in non-­arts high school classrooms in the collaborative creation and performance of an original theater or dance piece, introduced many students to creative theater and dance, even as they helped to break down social barriers and build trust. Until recently the program has been operating primarily in the Penquis Region of the state, where student social issues were often based on socio­-economic diversity or gender issues. But BCTA has been expanding into more areas, and this summer it has come to Portland, where the social issues the students are dealing with include racial and religious diversity. The introduction of the BCTA program into Portland has been through MAAE’s new partnership with OPEN (Organization for Partnership and Engagement with Neighborhoods), an after-school and week­end program in Portland’s Parkside area that engages diverse youth to take an active role in the decision making and dialogue about issues of social justice affecting their community. 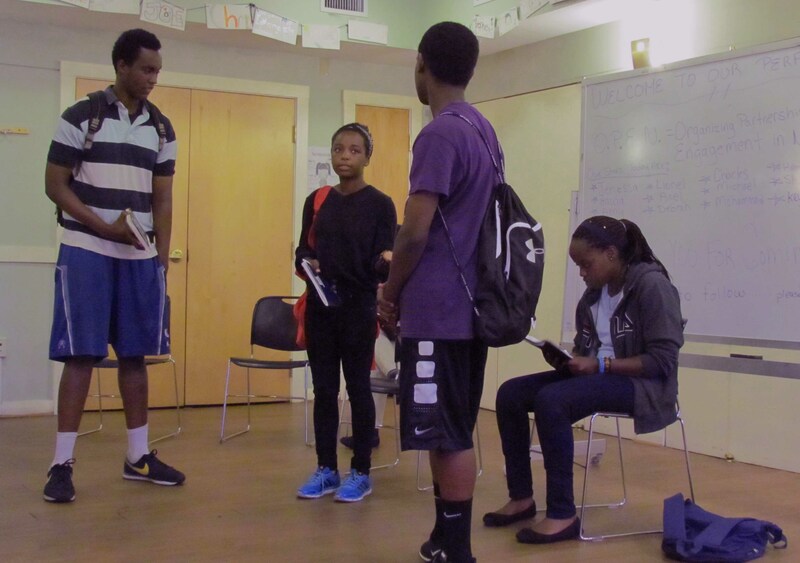 During a three-­week residency in July with BCTA theater artist Jeri Pitcher, an OPEN group of 12 mostly minority and immigrant youth created “Amy’s First Day,” an original drama, which they performed for the community on the evening of July 22. MAAE will be working with OPEN and with the youth themselves to explore options for bringing the BCTA program into Portland schools. Public input is welcome as well. To contribute to this discussion and for more information contact MAAE Executive Director Susan Potters either by email (s.potters@maineartsed.org) or by phone (207) 439­-3169. The Maine Arts Leadership Initiative (MALI) continues to use a Critical Friends model to provide feedback to each other as the work progresses. This years new Teacher Leaders created Action Plans that start with Essential Questions. For example, Why and how should we assess students in instrumental ensembles? The questions vary depending on what each teacher leader is learning and needing in their classroom. 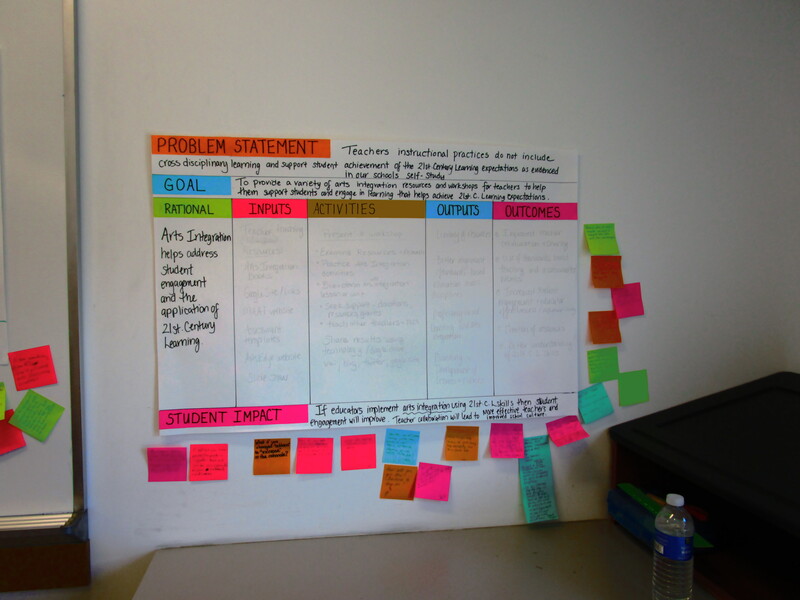 The template that is used helps the teachers formulate their ideas so they can present a workshop on the topic for other visual or performing arts teachers during the 2015-16 school year. You can imagine once the above are fleshed out, a plan develops for the workshop format. This is not to say that the plan is simple. In fact, some teachers really struggle to bring the plan together. It is amazing to watch the progress. 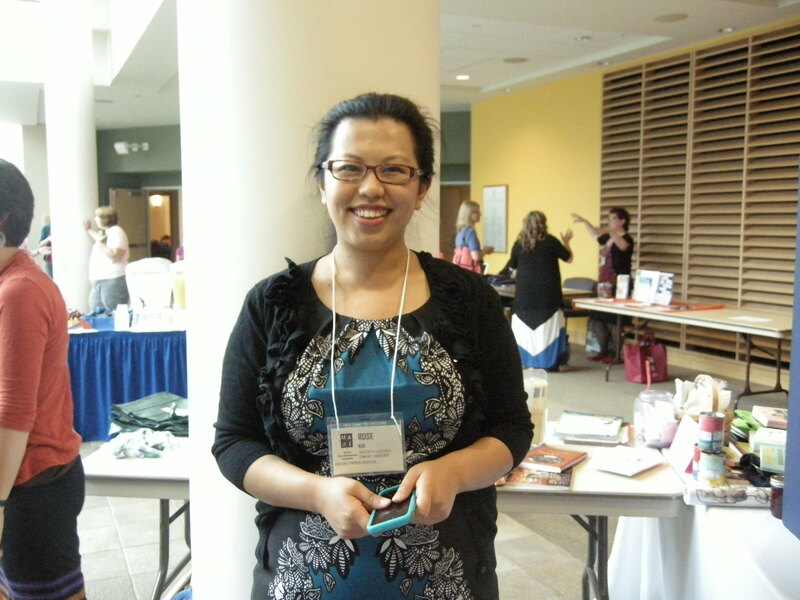 The returning Teacher Leaders used a different format this year – new to MALI as well. Teachers started with a Problem and a Goal. The MALI team that went to Washington, D.C. for the Teach to Lead Summit in July learned about the Logic Model template and decided hands-down that it was the way to proceed with the returning Teacher Leaders. On the third day of the summer institute held at USM, Portland on August 3-5 all the Teacher Leaders shared their ideas in small groups with critical friends and received feedback that they could immediately apply and make any of the changes. The frosting on the cake comes during the afternoon when teachers participated in a gallery walk reviewing the plans of each teacher. It was silent for 90 minutes while each Teacher Leader provides thoughtful feedback on stickies that the teachers use to make further changes. Both groups produced an amazing amount of high quality work during the 3-day institute. 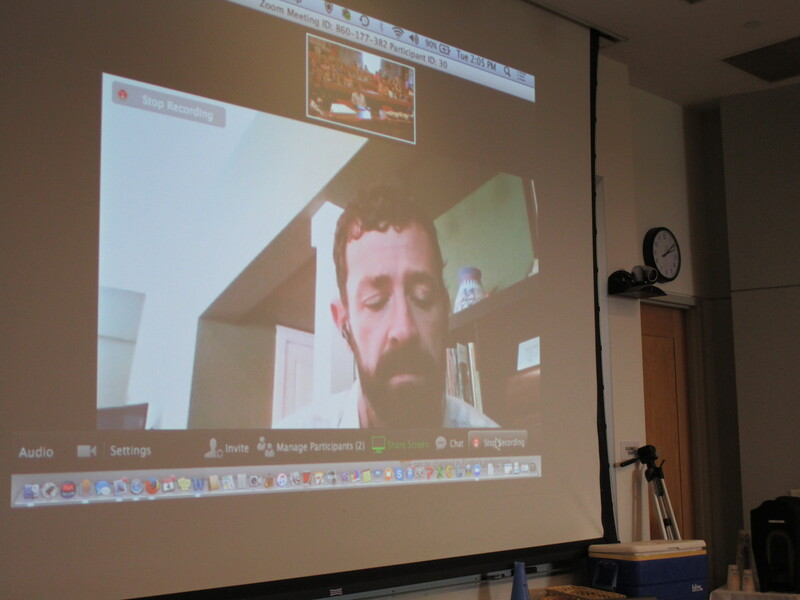 In addition, the Critical Friend assigned to the MALI team while in DC for the Summit joined us electronically to provide feedback to Teacher Leader and music educator from Bonny Eagle High School, Jake Sturtevant. It was great to watch the process in action. On August 20 the MALI will have a Critical Friends Day to provide feedback for the last time before they take their workshops and plans “on the road”. 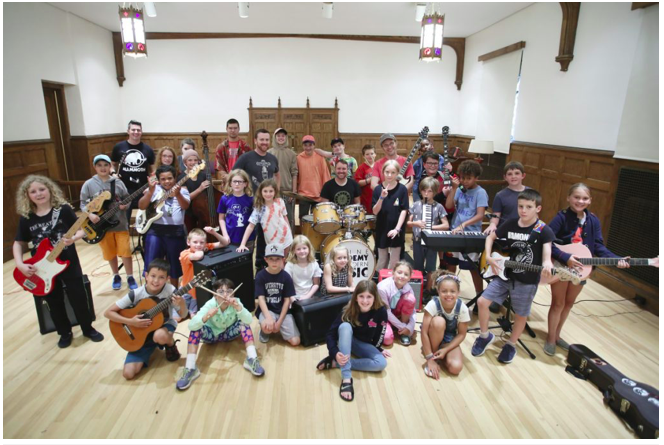 Just a reminder that on August 3, 2015, MAAI, the Maine Arts Assessment Initiative, announced its new name, MALI, the Maine Arts Leadership Initiative. You can read about it at https://meartsed.wordpress.com/2015/08/09/maai-goes-to-mali/. Please let me know if you have any questions. 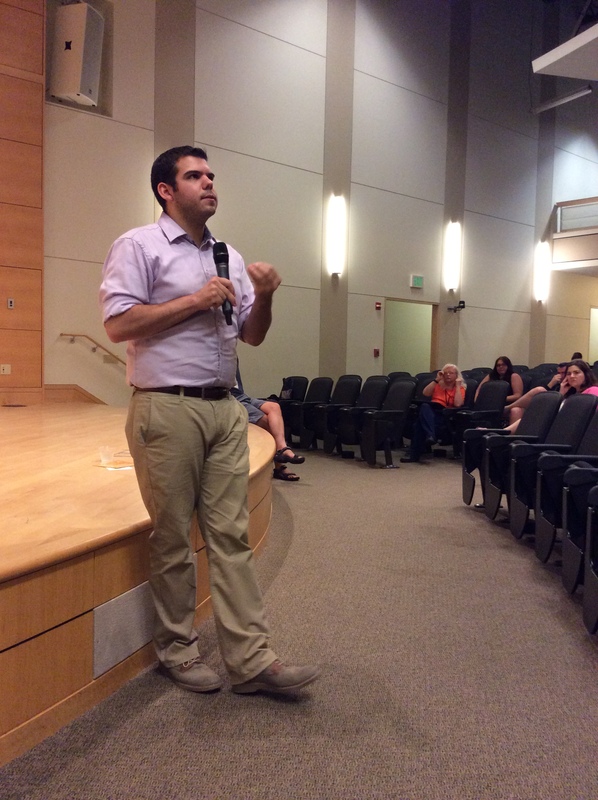 The Day 2 schedule at the Summit on Arts Education at USM, Portland allowed participants the opportunity to attend sessions on technology, integration, advocacy, and sessions with like-grade level and discipline on Proficiency and the Student-centered classroom. In addition, throughout the morning participants had the chance to learn more about teaching artists, arts organizations and higher education. Representatives from the following arts organizations and institutions participated: From the Bow Seat, Lesley University, Lincoln Street Center and Northland Village Foundation, Maine Department of Education, Maine Art Education Association, Maine Music Educators Association, Maine College of Art, New England Institute for Teacher Education, Portland Ovations, Portland Museum of Art, Portland Symphony Orchestra, UMaine Music Ed Department, and UMaine Art Ed Department. Teams and individuals started work on an Individual (or team) Action Plan so they could hit the ground running when returning to their schools/districts. 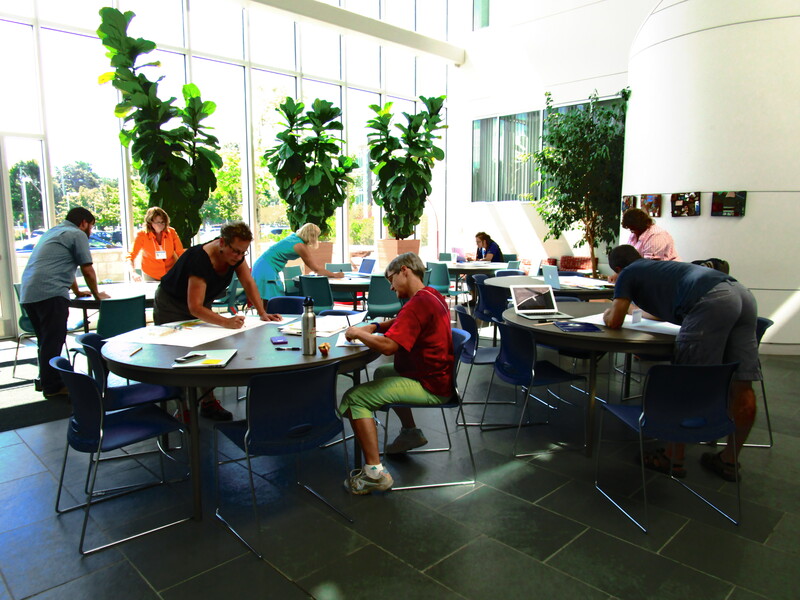 The Phase 5 Maine Arts Assessment Initiative (MAAI) Teacher Leader’s Individual Action Plans focus on the workshops they plan to provide during the 2014-15 school year. Maine Art Education Association secretary and MAAI teacher leader, Lisa Ingraham, provided the “chair” template so teachers could use their creativity to contribute to the wall of chairs. 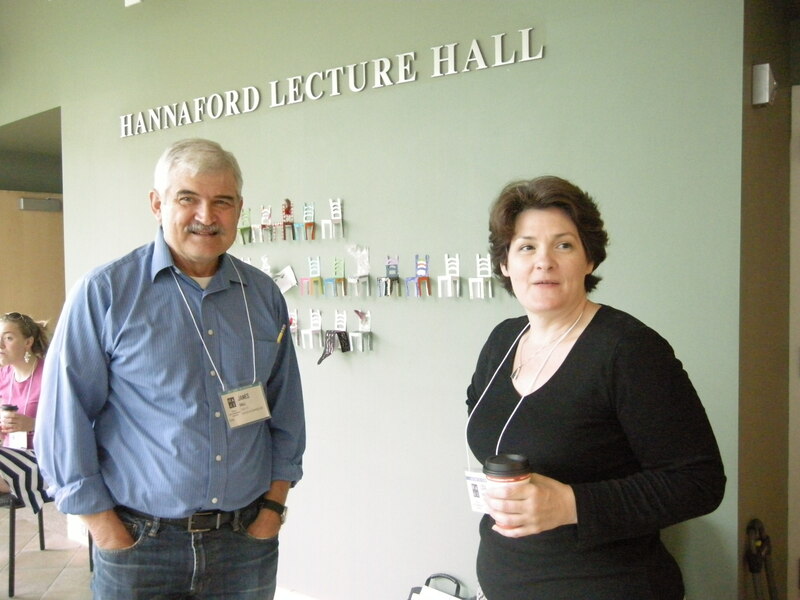 Lisa and her colleague Jim Small from Madison School District are seen in this post in front of the growing wall of chairs. It was the second day of the Summit on Arts Education filled with high quality professional development. 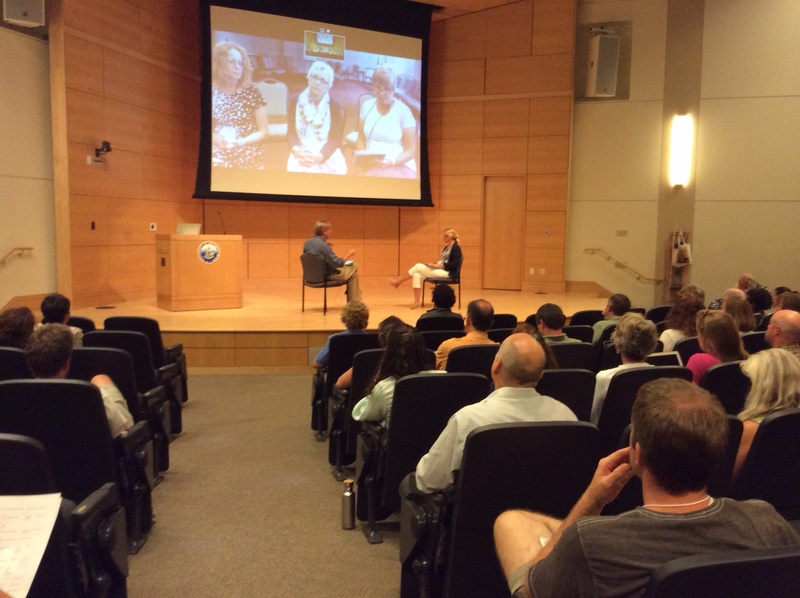 The 90 participants went away having learned a great deal, and with new questions about their understanding of teaching, learning, and assessment in arts education. We had a great first day at USM, Portland at the Summit on Arts Education. 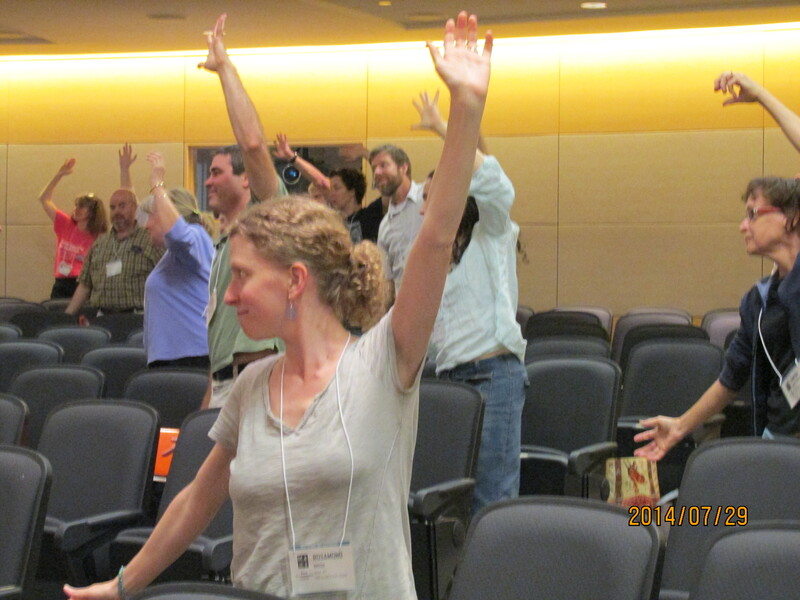 The energy was high and the participants were busy filling their minds. Information was shared and questions flying! The day started with sessions on Essential Questions and Leadership. Participants gained insight on Effective Teaching in the Student-centered classroom and were treated to showcases presented by Teaching Artists. Each teacher started brainstorming ideas to create an individual action plan. The day wrapped up with an electronic conversation with the State Education Agency Directors of Arts Education at their ssessment conference taking place in D.C. Julie Richard, Director of the Maine Arts Commission, unveiled the Teacher Resource Bank. The day was jam packed and flew by! Attending the Summit are arts educators from all regions of Maine representing all grade levels and all four arts disciplines. Networking has been an important part of the work – people collaborating and networking.